I apologize for the lack of posting this month. From the end of April until the first week in June, my schedule is packed with traveling and visitors and sadly I haven’t been able to write, or cook, as often as I’d like. But I have a quick break between travels and I wanted to catch you up on all the exciting food stories from my trip to Florida. One of my favorite foods is seafood. It’s usually my first choice from a restaurant menu and I’ve been experimenting with different fish recipes in my own kitchen. Living in the Midwest, my choice in fresh fish options is somewhat limited. But whenever I travel to Florida, I always take full advantage of the wide range of seafood choices native to the area. And this trip was no exception. There was only one day I didn’t eat some form of seafood. Food was a big part of this trip. 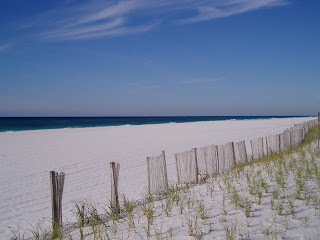 Our family has been traveling to Pensacola, FL since we were kids so we have quite a history with this city, which includes a long list of favorite restaurants. And we made sure to hit each one before the week was over. 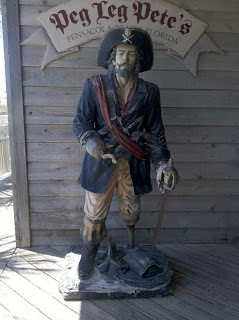 One of our first stops was Peg Leg Pete’s on Pensacola Beach. We went at the beginning of the week and for the rest of the trip, Peg Leg’s grouper sandwich was a common topic of discussion. It’s a meal that makes you salivate just at the mere mention of its name. Imagine a big chunk of beautiful flaky white fish either char grilled or lightly fried that literally melts in your mouth with each bite. If I could eat that sandwich everyday, I would. I also discovered an unexpected new favorite dish on this trip: Snow Crab Mac & Cheese. It came highly recommended by the waiter at a restaurant named Crabs – We Got ‘Em, which is also on the beach. I’m not usually a big fan of crab meat, but this dish was divine. And they even added a few grilled shrimp which a delicious surprise! The crab and shrimp were tossed with cavatappi pasta and a cheese sauce that was a blend of cheddar cheeses from upstate New York and Wisconsin then baked – absolutely scrumptious. I need to figure out how to make this one! But my favorite moments of the trip were sharing cooking stories with my grandmother and going through her recipe boxes. The Found Recipe Box, and even my personal recipe box, is broken into categories within the box. But my grandmother has an entire box for each category! I counted 17 boxes in total. I was in heaven! Most were typical metal or plastic recipe boxes, but one had rings and reminded me of a rolodex or a calendar that you flip over everyday. 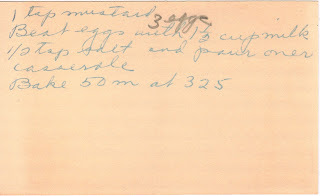 And one was an old cardboard box full of envelopes that were packed with recipes. In one of the boxes, each card was carefully tucked into a plastic sleeve to protect it. I need to find those for my own cards! 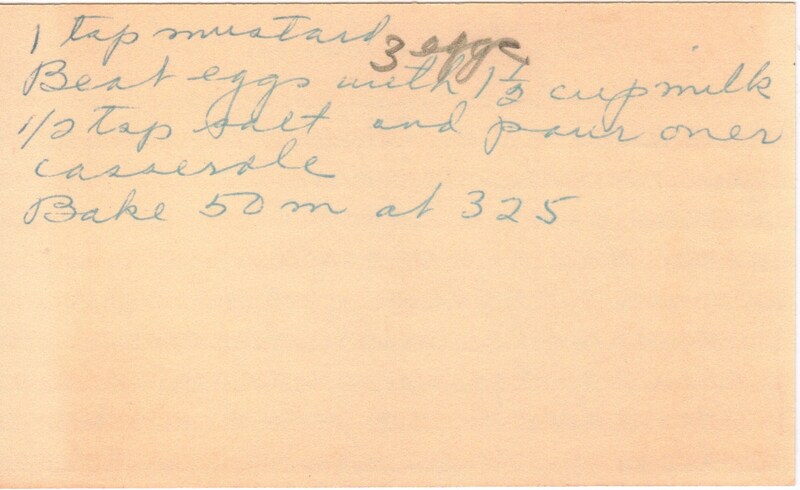 And some of the recipes – the family favorites – were taped to the inside of her cabinets where they could be looked upon lovingly every time you reach for a cereal bowl or a measuring cup. I smiled when I saw the recipe for Swedish Pancakes hanging proudly among the favorites and told my grandmother of how I chose to make that recipe first for my project and that I dedicated it to her. I can’t even imagine how many recipes are tucked into her cabinets, but I figured that I would probably be about her age when I finally cooked my way through all of them if I started now. I don’t even want to know low long it would take me to log them into my spreadsheet (I need to find a way to share that with you, although after you see it, you might think I’m crazy…it’s pretty detailed!). Some of the favorites are pulled out for easy viewing. These are loquats that grow in my grandmother's backyard. Luckily I don't have recipes that use them because I wasn't a fan. While we were in Florida, the news was dedicated primarily to the oil spill. And being able to listen to the local news gave us a totally different perspective on the disaster and its effect not only on the marine life, but also on the local people who rely on the Gulf of Mexico to make a living. 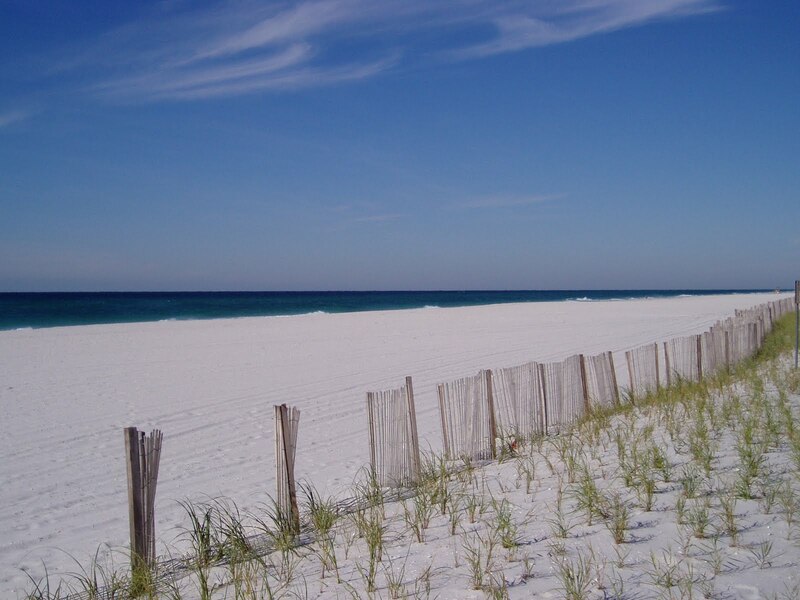 From the commercial fishermen to the tourism industry, Pensacola was already seeing a dramatic effect not long after the spill even though it was still far from reaching the area. The oil didn’t need to be washing up on those pristine white beaches to take its toll. We started to consider all of the amazing seafood meals we had just enjoyed and wondered how much longer they’d be served. There were huge lines at the fish markets so that people could stock up on Gulf fish before it was no longer available. The Gulf Coast has been ravaged by hurricanes for the past few years and is just starting to recover. They didn’t need this too. Since I’ve been home I’ve kept a close watch on the news regarding the spill. Sadly, it seems to get worse and more frustrating everyday. I keep the people and the marine life in that region on my mind and in my heart and wish there was an answer to provide quick remedy for this tragic event. 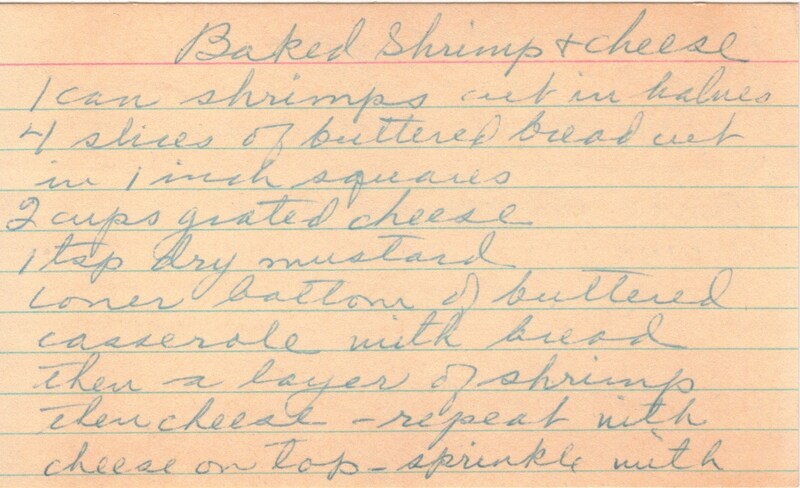 Unfortunately, I can’t offer a solution to the leak, but I can provide hope in the form of a recipe: Baked Shrimp & Cheese. As soon as I got home and was reunited with The Found Recipe Box, I dove right in and searched for a recipe that would be fitting for this post. And as always, the box delivered the perfect meal. Over the years, I have consumed a lot of Gulf shrimp. My grandfather used to get shrimp fresh from the boats for us. 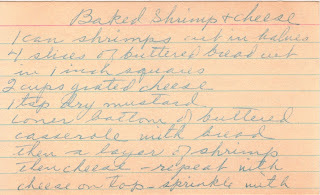 There is nothing like fresh shrimp and my grandmother’s cocktail sauce. It’s simply the best. So I was excited to find a recipe that used shrimp. This meal is really easy to make and is absolutely delicious. I think it’s one that opens the door to experimentation with spices. Since I’m not that brave yet to deviate too far from the instructions on the card, I stayed true to the recipe. I did choose to use fresh shrimp though instead of canned and for the cheese, I chose co-jack, but again, I think this is another area for exploration within this recipe. Next time, I will try a cheese that is a little more exotic. For the bread, I chose a fresh loaf of sourdough and thought it was a good compliment to the shrimp and cheese. If you try this and have suggestions for spices to add, a different cheese or bread, please let me know. This is definitely a meal I’ll make again. I would like to specially dedicate this post to everyone in the Gulf Coast. I hope that a solution is found soon, that life can be restored to normal with the least amount of damage possible, and that Gulf shrimp can grace your dinner table in the form of a wonderful cheesy casserole. I wish I could do more, but I hope that this dish made with a local favorite will help offer a little comfort.